1How long is the length of stay at Revive for my treatment? On average we see patients on their initial visit for a 10 day intensive. We establish the length of stay according to the patient’s symptoms and severity level. Adolescents are typically seen for only 5 days. Follow up is planned for 3-6 months after initial visit in all patient care. 2What to expect when I arrive? Upon your arrival we will be performing a physical exam to determine specific diagnostic and lab testing. Our approach is a thorough investigation of all of the coordinated systems in the body affected by the brain injury or contributing to the brain injury. The complexities of an injured brain influence multiple systems and structures in the body. We carefully consider all of the findings to prioritize each patient appropriately and develop a treatment plan with specificity. 3What will be included in my treatment program? Your treatment plan will be determined after you present in the office. There are multiple contributors to your individualized plan. The treatment modalities we use in our office are not stand alone options but used in conjunction with one another. Typically, our patients will be utilizing all of the treatment modalities in our office eventually (unless they have a medical device implanted which prevents the use). We monitor your metabolic capacity very closely to ensure that you will not be under or over stimulated. This is very important to the overall Neuroplasticity. Neuroplasticity refers to the brain’s ability to change. The brain has the amazing ability to reorganize itself by forming new connections between brain cells (neurons). The amount of time this may take differs from patient to patient. Co-Factors contribute to the overall ability the brain has to make these lasting changes. Due to these scientific truths we approach each patient as an individual and our clinical team of experts purposes to get to the core root of the symptom structure. Each day you are in our clinic approximately 3 ½ -4 hours; we will be doing targeted therapies which contribute to neuroplasticity. 5Will I be getting my blood drawn? Short answer is YES. We will be doing a thorough investigation on each patient. Lab work will be determined at the time of exam and will be a large factor of your treatment plan. It may be necessary to run specialty labs, saliva testing or stool samples in addition to the comprehensive lab test. We take into consideration all labs you have had done in the past, the most emphasis in the most current, last 3 months. 6Is Revive Treatment Centers an inpatient or outpatient clinic? We are an outpatient clinic. Our patients come here each day for treatment, but we do not offer inpatient accommodations. 7Where do I stay while getting treatment? 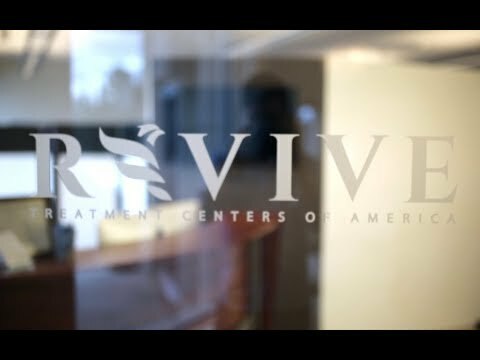 We have established relationships with local hotels where patients will stay in a safe, comfortable environment while being treated at Revive. These properties offer reduction in room rates for the extended stay during your treatment period. Please mention that you are with Revive Treatment Centers when booking your reservation. If you need assistance in booking your accommodations, our Patient Care Coordinator will be happy to assist you. 8Do you accept health insurance? Due to our integrative approach, and in order to provide you with the highest quality of comprehensive evaluation and treatment, we do not accept health insurance. Depending on the insurance plan you have, you may be able to submit the itemized and CPT coded statement to seek reimbursement with your health insurance provider. The cost of treatment will vary from patient to patient due to our individualized approach. No two brains are alike and no two brain injuries are alike. Call for further information. 9When will I experience improvement in my symptoms? Based on results from our objective measures every patient experiences reductions in their symptoms. The extent differs with each individual. After your assessment the clinical team will discuss personal goals and realistic outcomes. Your treatment plan will be built around attainable goals and identified during the initial exam. 10Will I go home with suggestions to help continue the improvements I have made at Revive? To help ensure success on your journey of healing, we create and define a plan for you when you go home. This plan may include sourcing a local specialist for a safe and effective continuum of care. Our goal is to see each patient continue to build upon the initial results they achieved in our office.